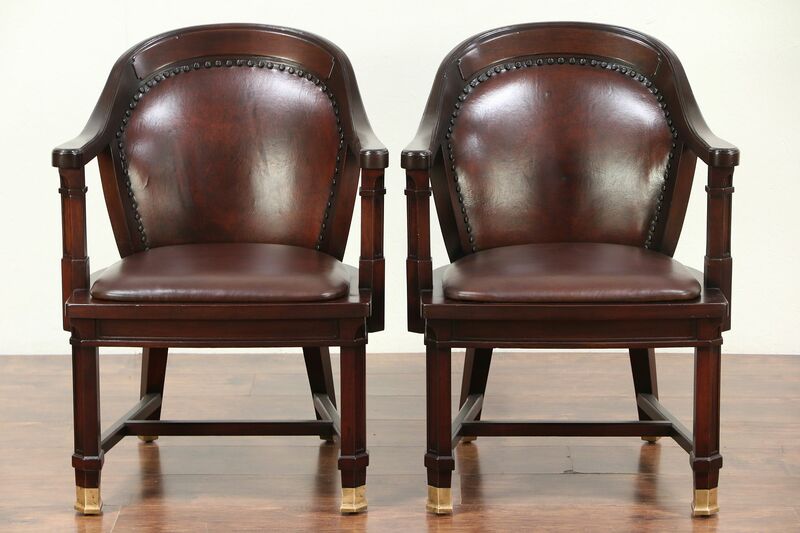 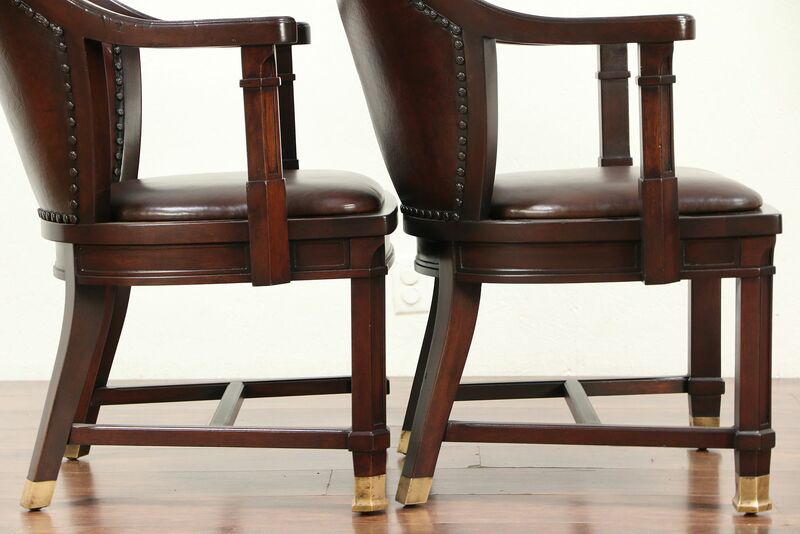 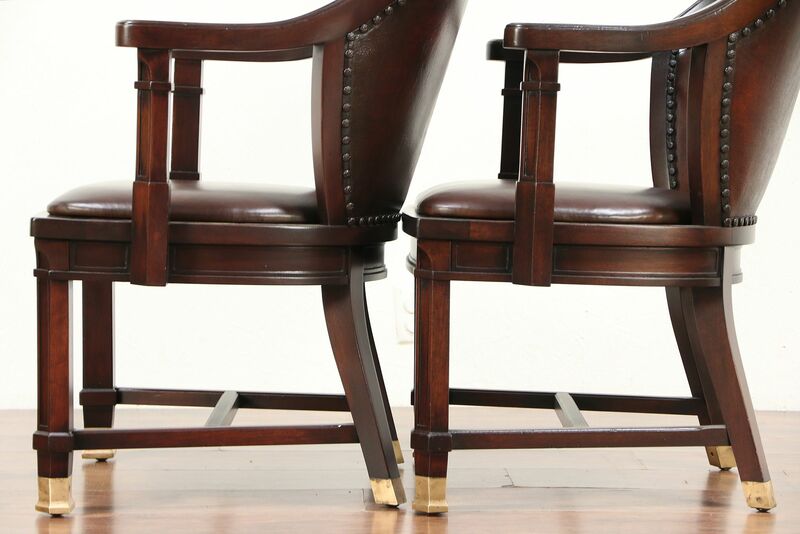 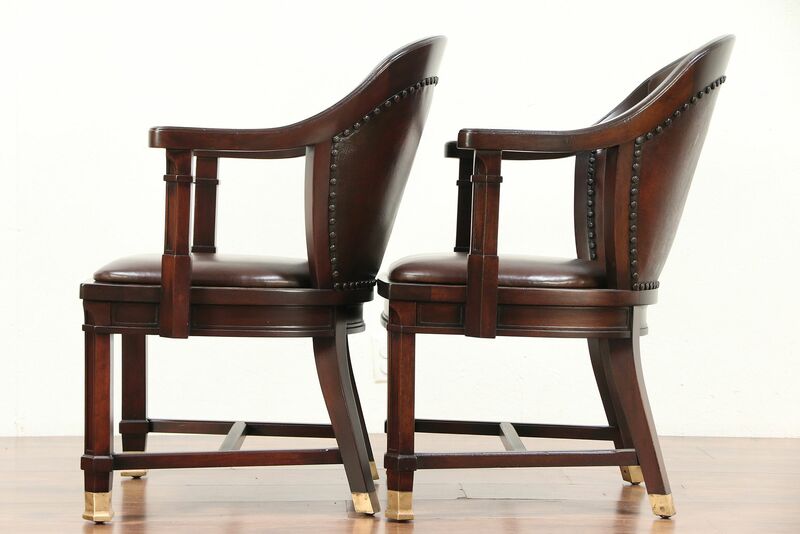 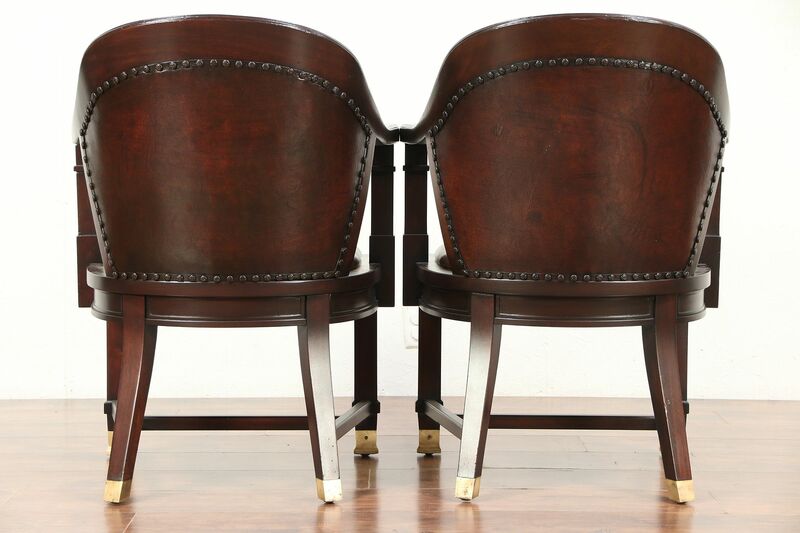 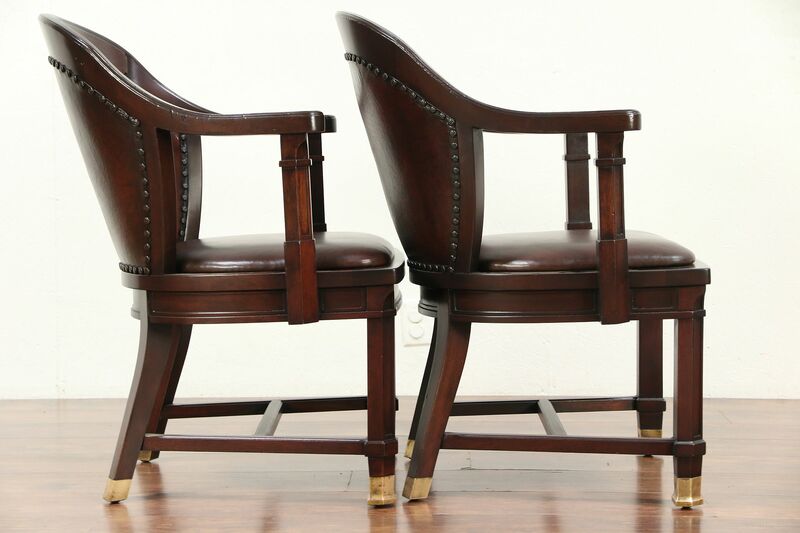 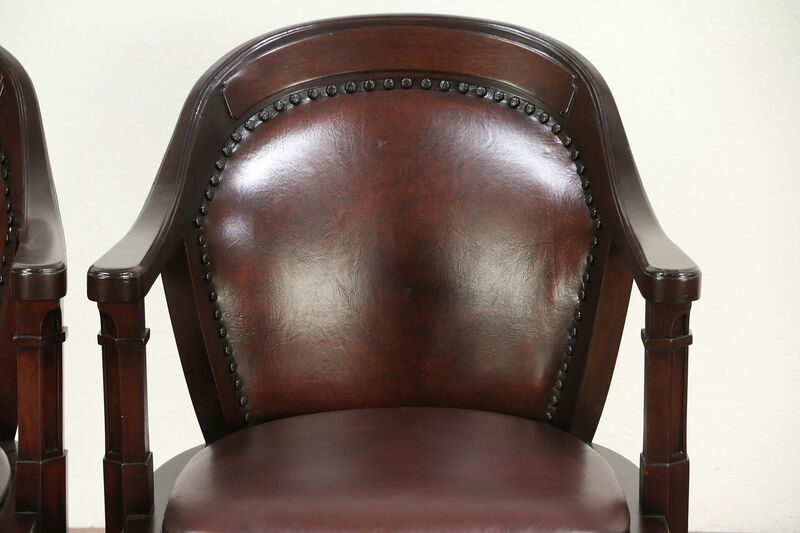 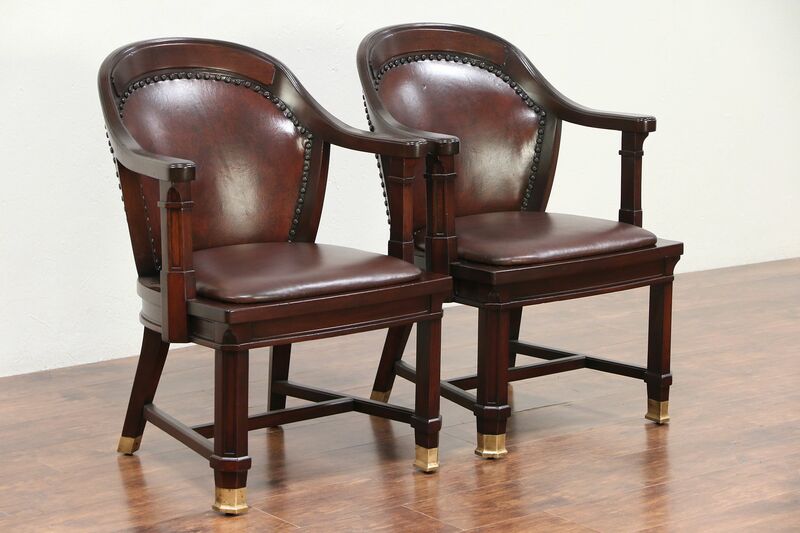 A pair of superior quality banker, office or library chairs was carved of solid mahogany for the executive suite at a Chicago bank about 1910. 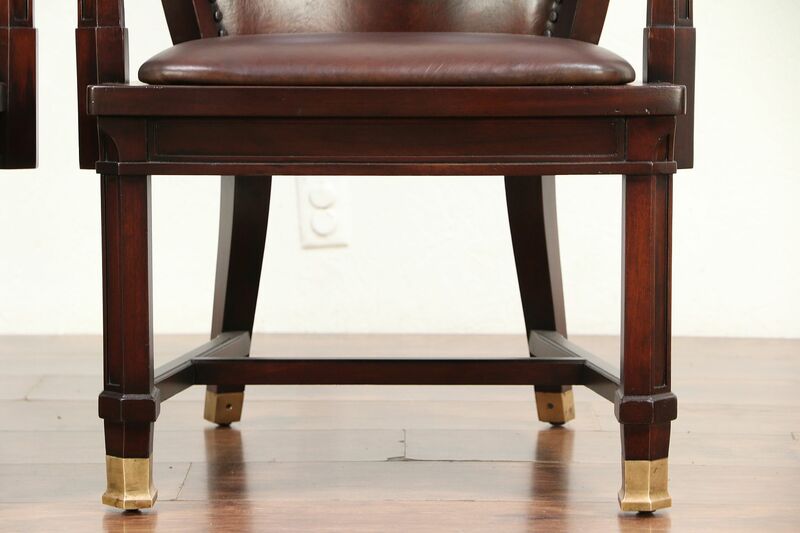 Feet are genuine cast bronze. 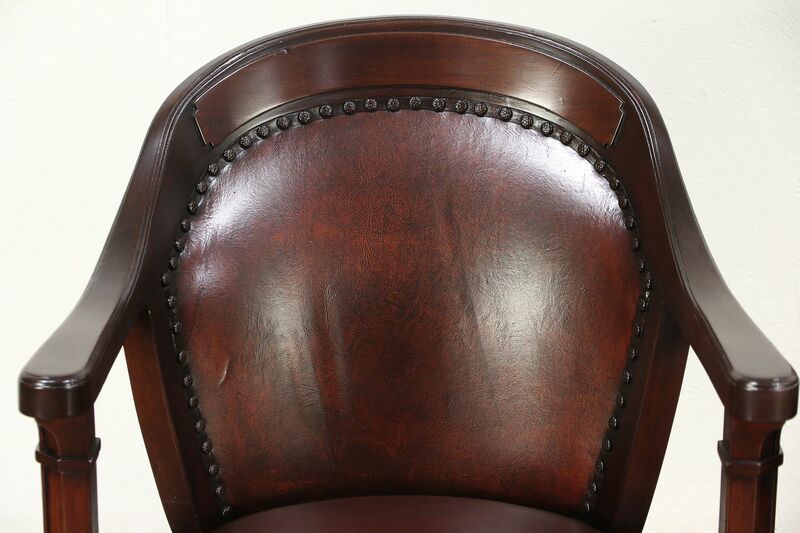 The restored finish is in excellent condition on this American made furniture, preserving just enough mars at the edges for a little antique character, see photos. 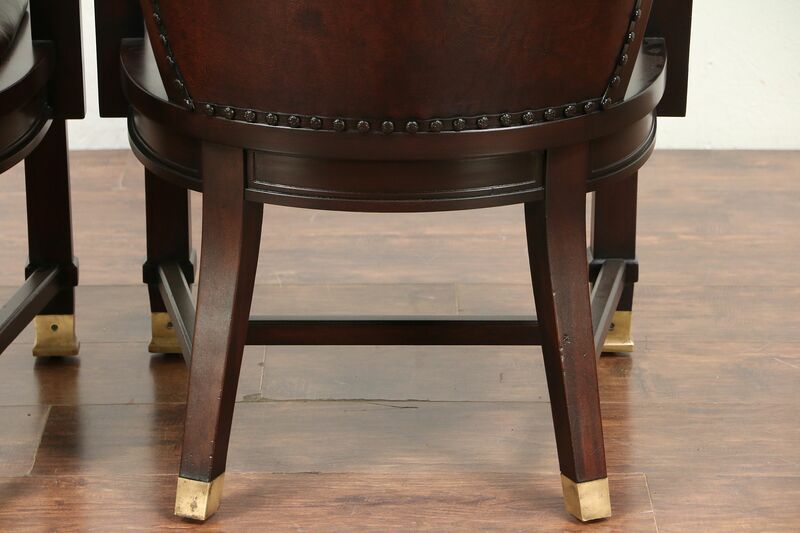 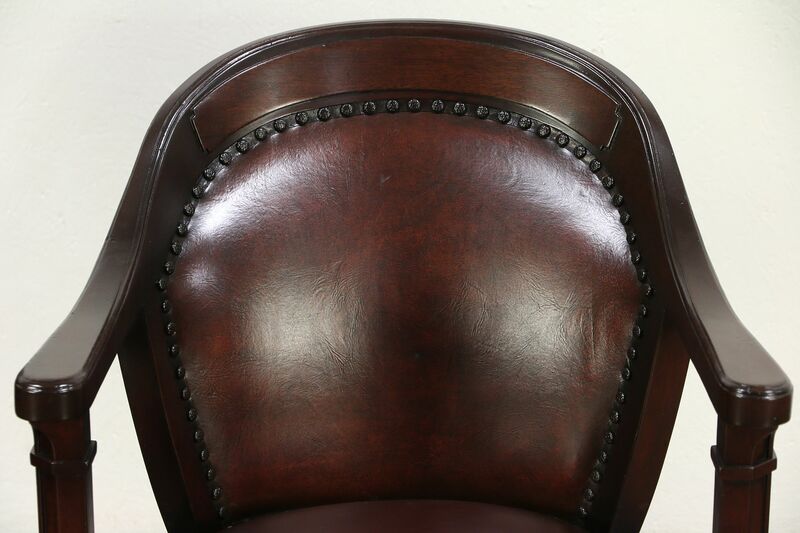 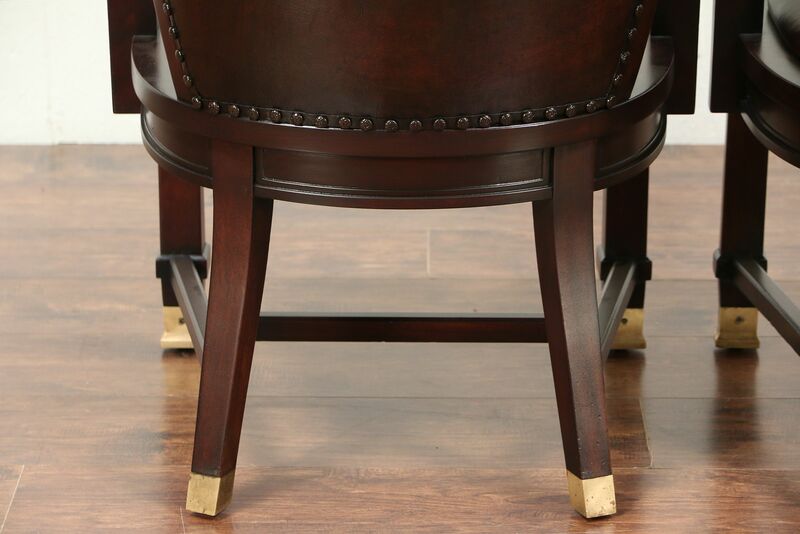 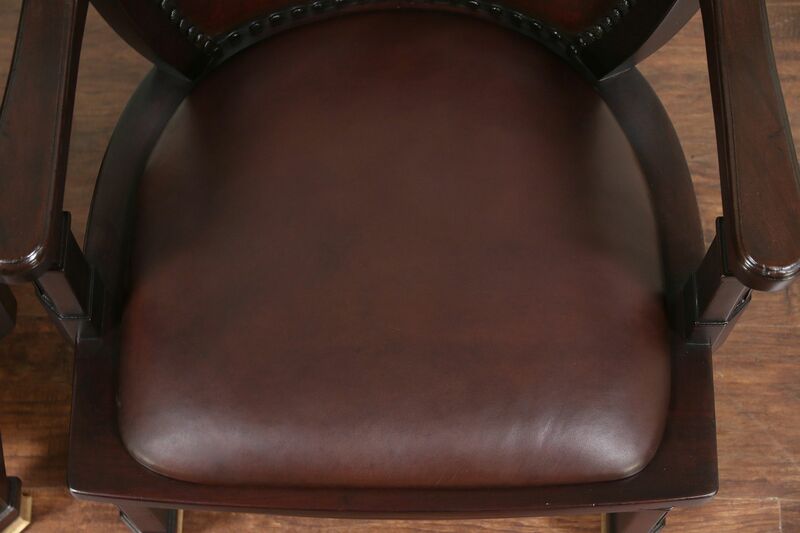 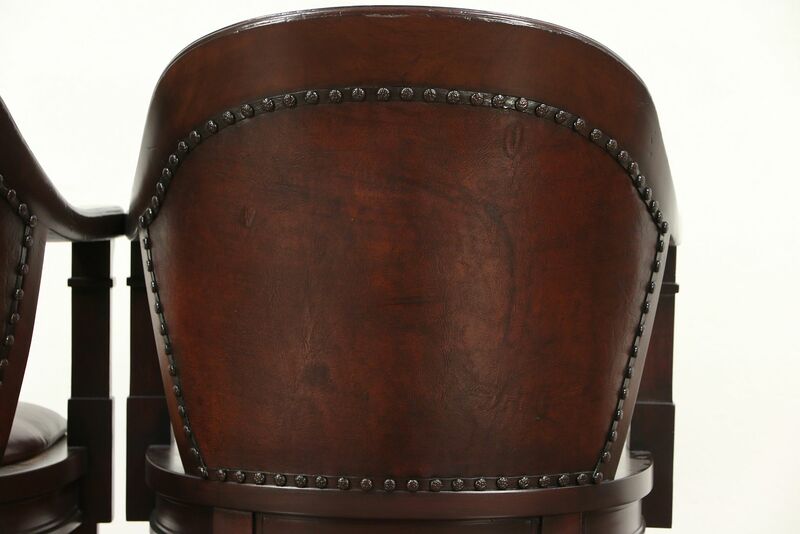 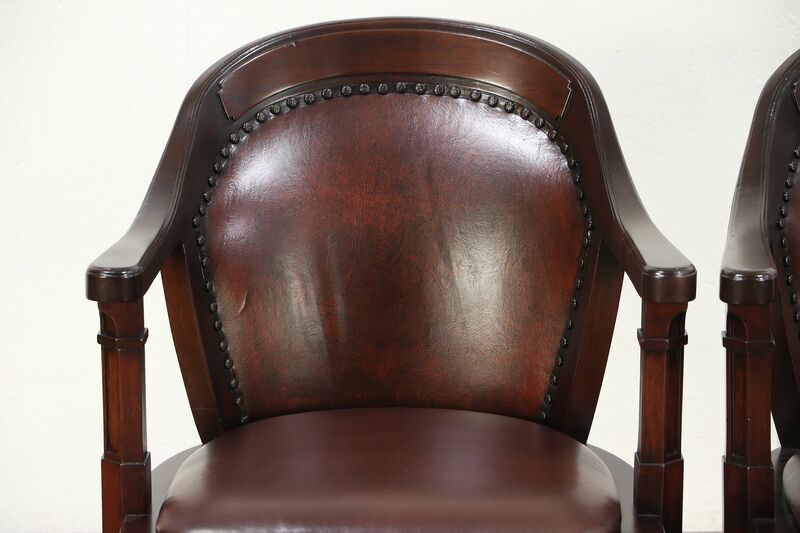 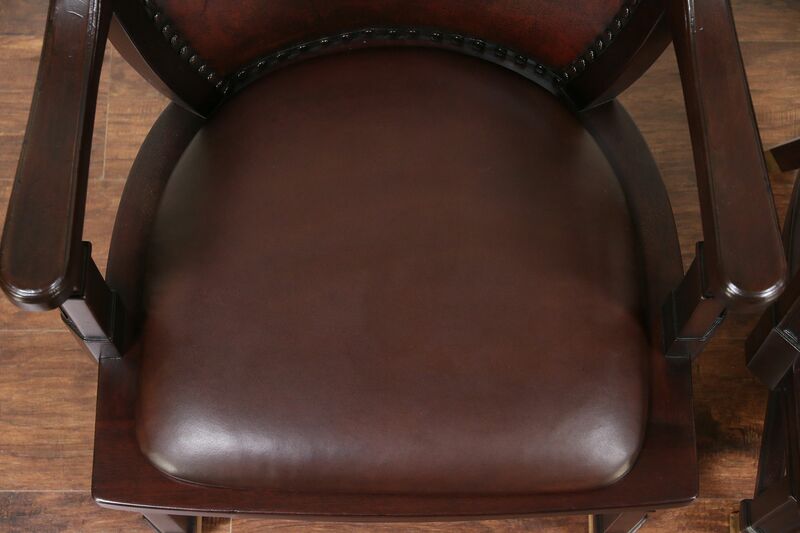 Backs have original leather upholstery with brass nail head trim, seats are newly upholstered in saddle leather. 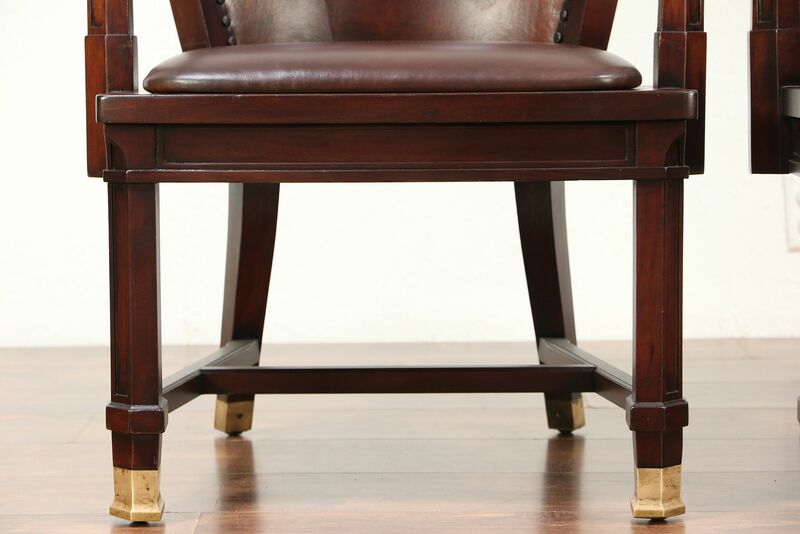 Frames are rock solid, reglued to serve another generation. 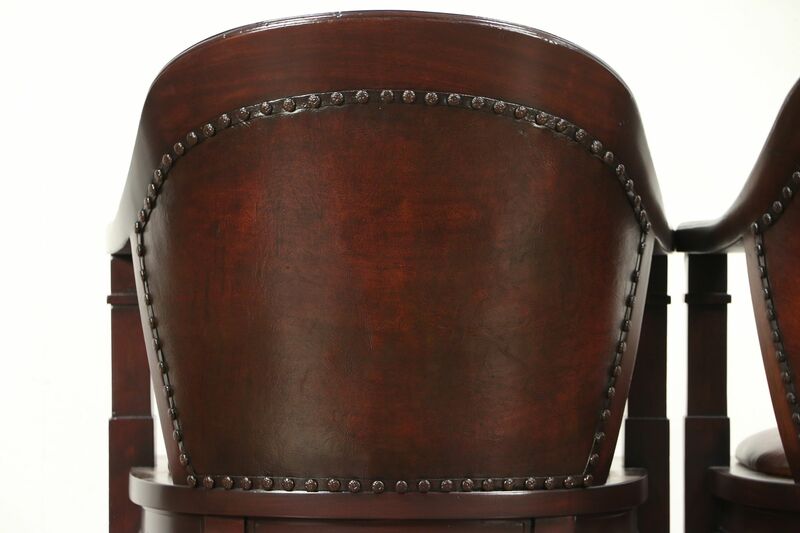 Measurements are 26" wide, 26" deep, 34" tall, seats are 18" high and 19" deep.